As is widely accepted, there is that which you know you know, that which you don’t know you know, that which you don’t know you don’t know, and that which you know you don’t know… Right? The latter was an accurate description of how I felt walking into the members-only cocktail party at the The Fowler Museum two weeks ago, directly preceding the opening of their current exhibition, “Making Strange,” an impressive fusion of two consecutive bodies of works by major contemporary Indian artist Vivan Sundaram, Gagawaka and Postmortem. 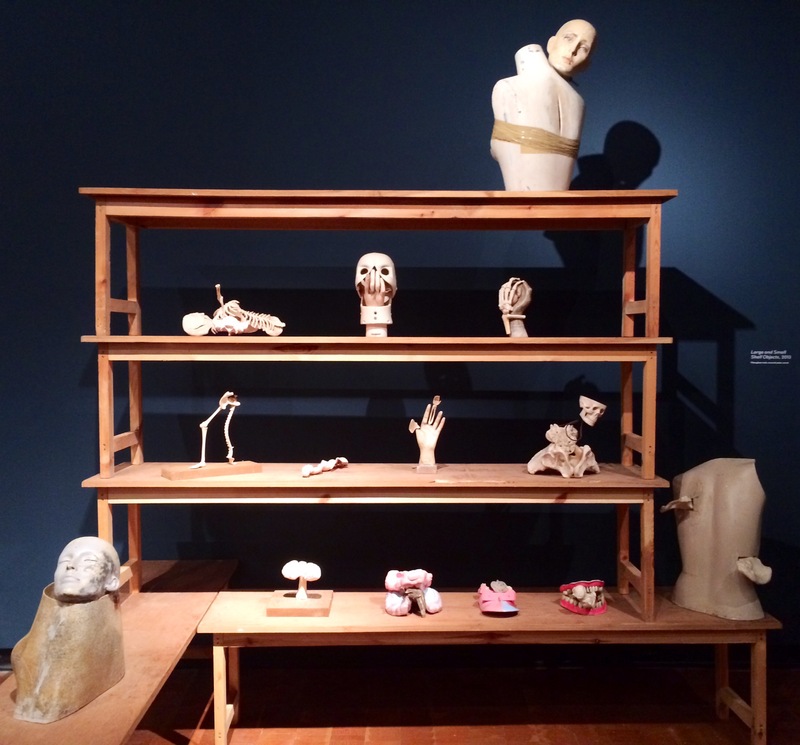 The Fowler Museum hosted a conversation with Sundaram and the co-curators of Making Strange before the official opening – and thank goodness they did, because I certainly had a lot to learn before I attempted to absorb this double-whammy exhibition. Sundaram, as it turns out, is a big deal in India. He founded The Sahmat Collective 1989, after Safdar Hashmi was brutally murdered by “political thugs” in broad daylight while performing a play in a public space in Delhi. Today, The Sahmat Collective resists the ruling elite that threatens the democratic spirit of creative expression by producing projects that engage in important political and social debates through a mix of high art and street culture. Everything from the genesis of the title “Gagawaka” (a combination of Lady Gaga and the Muppets’ Fozzie Bear’s catchphrase, “Waka! Waka!” – combined to emphasize absurdity), to the far-reaching influence of American ideals of beauty, apparent even in the European mannequins Sundaram selected to model his couture creations, was touched upon in this conversation. There is nothing quite like hearing the origin story, straight from the horse’s mouth, of how an impressive exhibition came to fruition – which is why I make it a point to jump at any opportunity to attend lectures that coincide with a show I’m lusting over. In my opinion, context is everything. Although the sculptural garments of Gagawaka are made from recycled and medical materials, they embody an impossible static undulation, as if they were made of chiffon, frozen stiff while blowing in the wind. These wearable creations are completely seductive in their adventurous design and unexpected materials – I would have died to take any of these “wacky” dresses home with me. 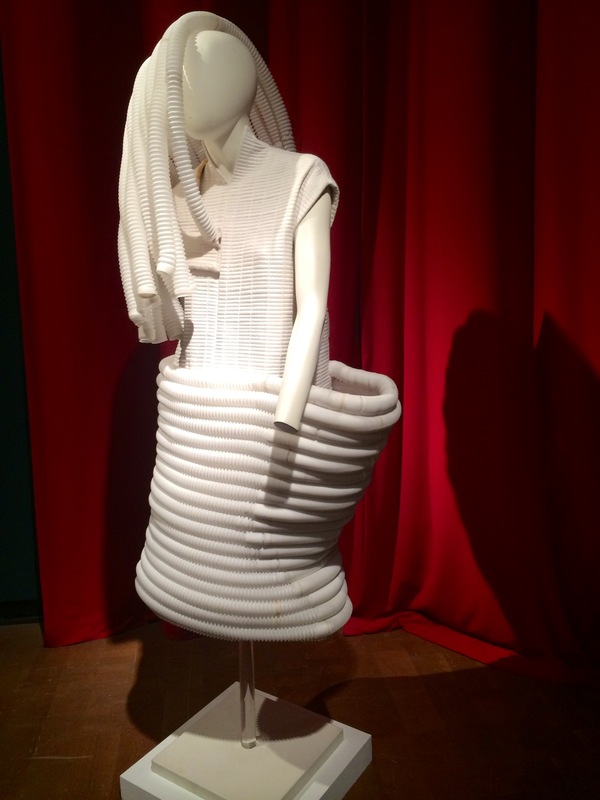 If you are an Art Minion who also worships at the altar of couture, this exhibition is a “must see”. 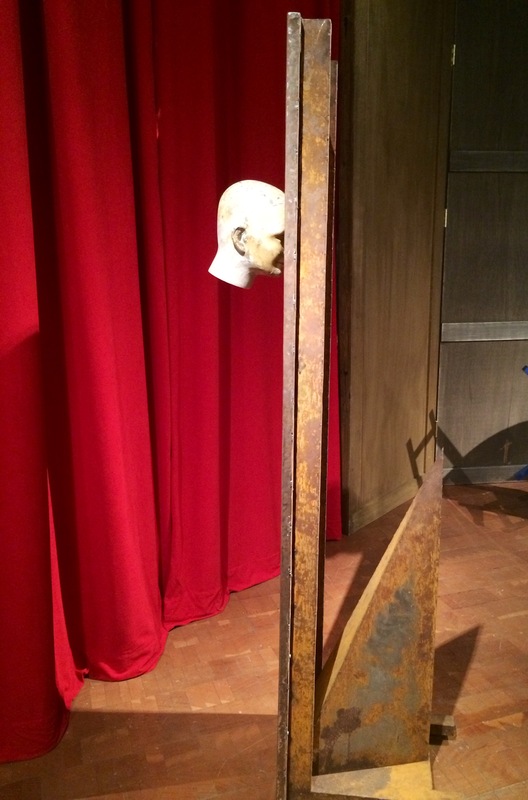 True to form, I was also very attracted to the haunting, Dada-esque sculptures of Postmortem, made from mannequins, dummies, and anatomical models, all mixed into the fray of Making Strange. If you, like me, are drawn to the uneasy feeling derived from Ed Kienholz’s assemblages, you’ll drool over the works in Postmortem. Sundaram mentioned in the conversation that he hoped it would be difficult to distinguish which works were from Gagawaka and which were from Postmortem – I can’t say I would have mistaken one for the other, but the two bodies of work coexist seamlessly in an experience that is “Strange” in the best possible way. 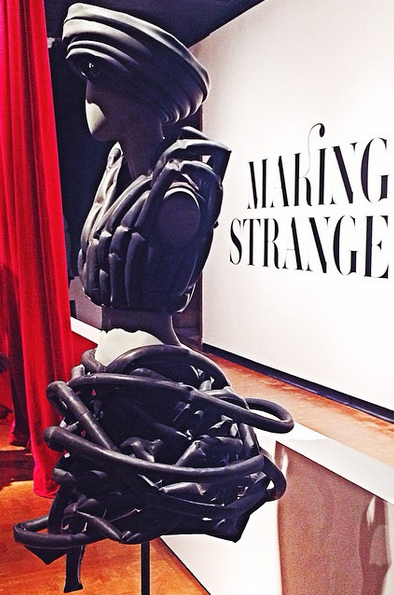 Making Strange is on view at The Fowler Museum at UCLA through September 6, 2015.